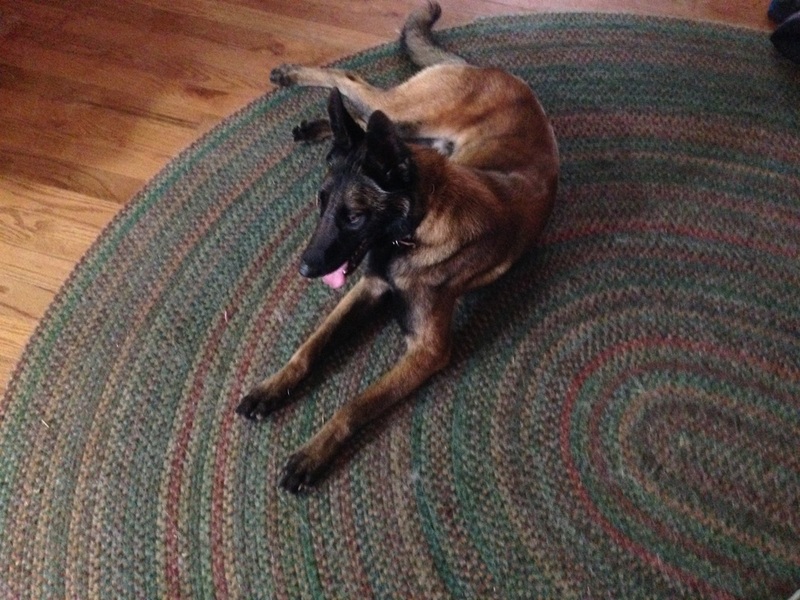 Help us by helping support Stryker during training. Thanks again for entrusting us with Stryker. He showed a totally different personality when we got home. He was much more submissive for the first half hour walking around the pen and in the house. Then he seemed to relax, helped along with a bag of dog biscuits. Finally he jumped up on the chair, put both paws on me and let me play with his face and ears. Some time later, he decided it was play time and ended up flying around the pen for 10 minutes. After that it was time for a break, laying down on the rug in the living room, which was when I took this picture.